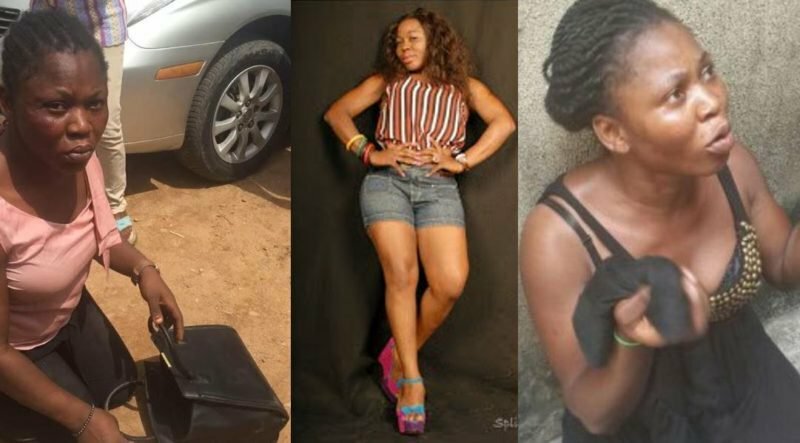 An up and coming Yoruba actress and film maker, Yetunde Akilapa, was yesterday arraigned before an Ikeja Chief Magistrate Court for burglary and theft of valuables worth seven million Naira. The actress, 32, who lives at No.7, Oladelola Street, Ketu area of Lagos, is standing trial on a three-count charge bordering on burglary and stealing to which she pleaded not guilty. She came to limelight in 2013 when she starred in a Yoruba movie, ‘Ileri Oluwa’. Police Prosecutor Benson Emuerhi told the court that Akilapa committed the offences on June 27 at No. 14/16, Mutairu Street, Shangisha, Ketu, a suburb of Lagos, at 2.10 p.m. According to him, the defendant was apprehended while trying to enter the apartment of the complainant, one Mr Adeboye Lamidi. Lamidi alleged that he was in his sitting room when he noticed someone was trying to open the door to his apartment with a key from outside. He said Akilapa used a master key to unlock the door of the complainant’s house but was caught in the act. The prosecutor also alleged that the accused on November. 16, 2015 at 3.00 p.m. broke into the residence of Oyinlola Tuga by unlocking the door with a master key. Tuga, who lives at No. 39A, Ayodele Okeowo Street, Gbagada Soluyi in Lagos, reported that the accused stole jewellery, bags and other valuables worth N7 million. “Tuga alleged that after raising alarm that his house had been burgled, his neighbours told him that they saw the defendant parked her car with registration no. MUS 689 CZ in front of the complainant’s house. “The defendant was arrested and handed over to the police at Ifako Police Station,” he said.